My name is Michael Strong and I am the host and author of this blog. Although I passionately love learning and am a great believer in the unlimited development of human potential, I don’t believe that existing educational institutions, occupational licensing, or existing credentialing systems are anywhere near optimal. The primary role played by conventional educational institutions in our society is to validate individuals as “authoritative” because of the validity of these institutions. Therefore I hereby provide my “credentials” for having the opinions that I have, credentials which are more relevant than academic degrees. Credential for my Expertise on Social Mobility in the U.S.: My mother was a sixteen year old high school drop out when I was born, my father eighteen. Without their knowledge or support, I got into Harvard, Yale, and Dartmouth at the age of eighteen. Twenty years later, when my half-sister was applying to colleges my mother first discovered that Harvard was difficult to get into; my father may not yet be aware of that fact. In terms of labor, I have worked as a farm laborer, logger, ditch digger, dishwasher, prep cook, maid, cabinet maker, door-to-door salesman, computer programmer, and more. I’ve been supporting myself since the age of seventeen by means of work. Despite this background, as an adult I have known six Nobel laureates, two MacArthur “Genius” Award winners, the CEOs of dozens of the most respected companies on earth, met with the leaders and ministers of several countries, and many marvelous, unique, good, wise, kind, and noble human beings from all walks of life around the world. I have a great deal of personal knowledge regarding social mobility, both from seeing the differing fates of various individuals in my extended family as well as through close familiarity with the many hundreds of young people I’ve known in my career as an educator. Most of what I’ve seen written by academic experts on social mobility strikes me as misguided and partial at best. Credential for How to Be an Autodidact: Although much of my learning during my teen years was done on my own, despite school, my real education in autodidacticism came at St. John’s College. After a few months at Harvard, I was bored by being talked at by famous people. I arranged for a “year abroad” at St. John’s College, which is known for its Great Books curriculum, in which one reads the classic works of western civilization, including original works in math and science including those by Galileo, Kepler, Newton, Faraday, Maxwell, Einstein, Bohr, Schroedinger, etc. More importantly, all classes are taught by means of Socratic discussion, where the tutor (there are no “professors”) is simply the best student in the class. After my second day at St. John’s I knew I would never return to Harvard. After graduating first in my class from St. John’s, and winning the senior essay prize and a mathematics prize, I attended the University of Chicago (In the application process I obtained a perfect 800 on the analytical portion of the GRE without studying for the test). At St. John’s I had developed a deep interest in the philosophy of science (from studying the classic works in science) and political philosophy. This had led me to wonder how the Chicago economists could pretend to be scientists and yet support free markets, which struck me as self-evidently harmful. There I developed a deep appreciation for economics (though I am now more of a Hayekian than a Chicago economist). I ended up working on a dissertation on “Ideas and Culture as Human Capital” under Nobel laureate economist Gary Becker after only taking a couple of courses in economics. While still working on my dissertation I began training teachers in Chicago Public Schools to lead Socratic Seminars. That led to a full time job with the Alaska Paideia Project training teachers to lead Socratic Seminars without ever having taken an education course. Later, when I took an exam on pedagogy as part of the requirement for an alternative teaching certificate, I obtained the highest score in the state (AK) on the administration of the test I took without ever having taken a course in pedagogy. Later, when a biochemistry professor asked me into his graduate level biochemistry class to show him how to lead better discussions in his classroom (the students weren’t participating), I read the original scientific research paper in preparation to advise him on his class and, upon participating in the class quickly realized that the reason that the students were not talking is that they had a very weak understanding of the assigned paper. Later I wrote ad copy for a brochure that won an advertising prize. I can learn whatever I need to learn whenever I need to learn it, without taking classes (though it may take time). Credential for How to Educate Others: With no courses or credentials in education, I embarked on a career first as a public school reformer and then later creating innovative public and private schools. In one of my public school programs, inner city minority female students gained as much in four months on the Watson-Glaser Critical Thinking Appraisal (WGCTA) as the average American student gains in four years of high school. Performance on the WGCTA correlates with performance on SAT and IQ exams. Later I created a Montessori middle school program where students gained an average of more than 100 points annually on the SAT (when it consisted solely of math and verbal) with the result being that the average 8th grade student (without a learning disability) scored higher than did the average 12th grade student – even the average private school 12th grade student. Later I created a charter high school that, in its third year of operation, was ranked the 36th best public high school in the U.S. based on the ratio of Advanced Placement tests taken to graduating seniors (Jay Mathews’ Challenge Index). All of the schools that were more highly ranked were either elite suburban schools or magnet schools that drew from large populations – my school was based in rural NM, one of the academically worst performing regions in the U.S. Most importantly, I have two grown children who are healthy, happy, and well. 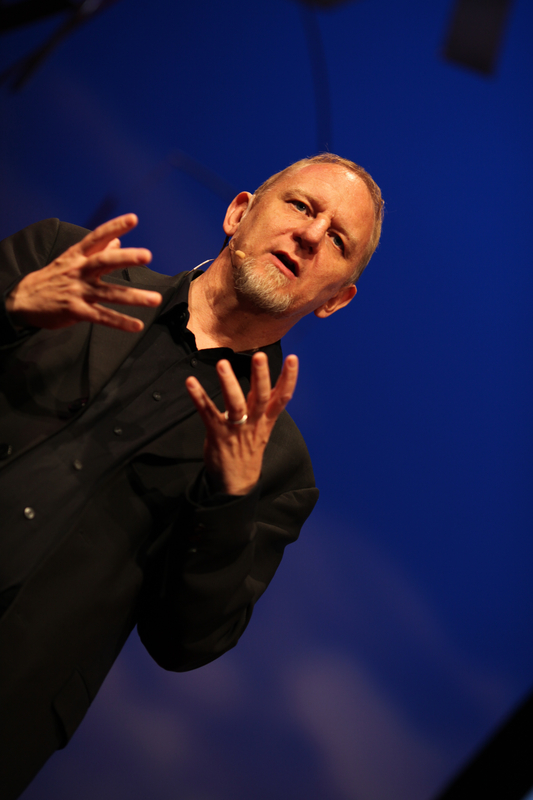 I have led Socratic discussions in literally hundreds of classrooms around the world. I can go into any school anywhere and, given enough time, transform a group of young people who are resistant to learning into a group that is passionate about learning, with significant measurable results on the SAT verbal exam. I can also train verbally talented adults to do the same if I have enough time with them. I would like to be able to create school systems that developed high level verbal and mathematical abilities along with the ability to think creatively and entrepreneurially, but will not do so if such systems are threatened by government control. I am actively seeking opportunities to create great educational systems; my work in creating Free Cities around the world is in part motivated by the opportunity to create great new educational systems. Most of what I’ve seen by academic experts in education is at best only modestly useful. Cognitive science is producing valuable material, but most of education research is useless; as Richard Feynmann noted years ago, it is “cargo cult” science. Credential on Education and Economic Development in the Developing World: In addition to travel, I’ve worked as an educational consultant in half a dozen developing nations. 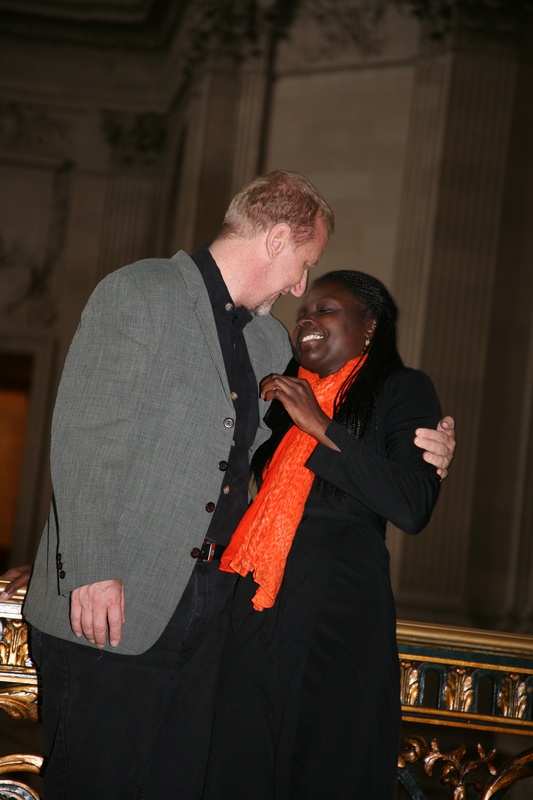 More deeply, my wife is a Senegalese entrepreneur and we spend several months each year in Senegal, living in a neighborhood in which I am the only white person; the children constantly want to reach out and touch my strange blond hair. 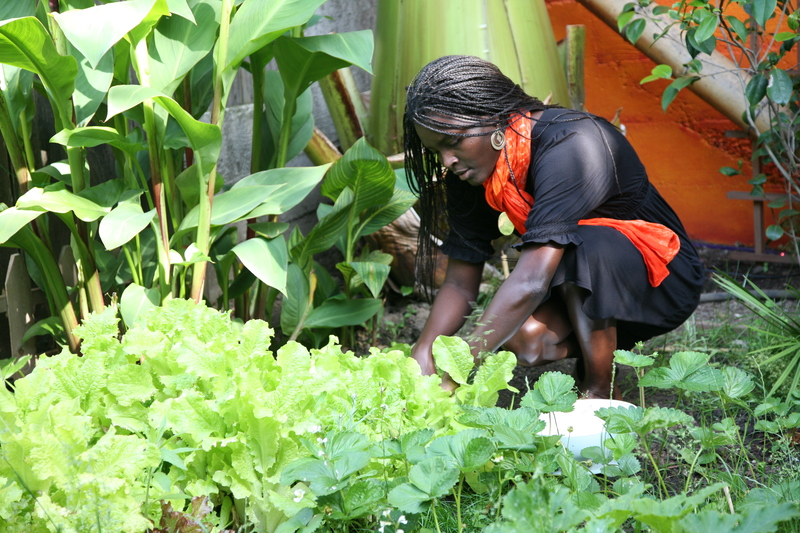 I am working with her to create a company that provides jobs to adults in Senegal and innovative education to young people there that is aligned with their culture (10% of the profits of Tiossan will go towards funding innovative education in Senegal, a project which she and I will co-lead). Although I love the convenience of the modern world, which are available there, I feel more comfortable with the Senegalese than I do among Americans. I’m also involved in Startup City projects around the world, with our most active projects currently in Honduras. Other roles: I am co-founder of Khabele + Strong Incubator, CEO and Chief Visionary Officer of Radical Social Entrepreneurs (formerly FLOW) am on the advisory boards of the Moorfield Storey Institute, Tri-Linc Global, and the Lifeboat Foundation. 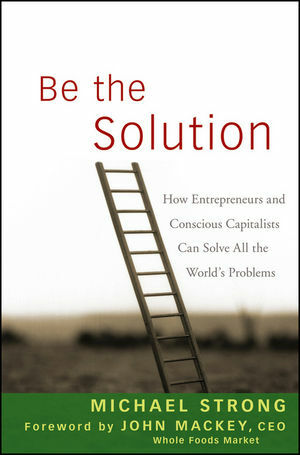 I am the author of The Habit of Thought: From Socratic Seminars to Socratic Practice and the lead author of Be the Solution: How Entrepreneurs and Conscious Capitalists Can Solve All the World’s Problems (along with co-authors John Mackey, Mohammad Yunus, Hernando de Soto, and others). The link between explorers, adventurers, creatives, education and free cities is of highest interest to me. A place to be left alone is a place to stand and become. What is your relationship with MKG Group, which is developing free cities in Honduras? Hi Victor, Yes, I am working on creating Free Cities in Honduras. Until the U.S. legalizes markets in happiness and well-being, I’ll focus most of my energies on creating peace, prosperity, happiness, and well-being outside the U.S. Thank you. We’d love to create one of these in South Africa someday. In the meantime, watch http://www.grupomgk.com/ for updates.